The world is a cycle. That to some may be lyrics to a lovely song, or it could just be an apt description of how trends move. That which was seemingly bypassed as years went by, several decades ago, often becomes the favoured pick of the present day. That statement stands true, especially for the world of boats, where practices of old keep popping up, and gaining widespread popularity. From boat designs to the sailing jargon, and dressing styles, the past is here with us again. And it looks tremendously beautiful too! Perusing the boat catalogue on popular online sales sites will reveal a good number of vessels from years back, and a good appetite for them too! Classic boats are actually among the most searched for items in the country. The boat culture is so popular that even banks are beginning to take notice and offer loans to boat enthusiasts to help them purchase their favourite toys. These are usually personal loans and are divided into sub-categories, depending on the amount of credit a buyer wants to access. What’s more, classic boats are suitable for a variety of activities. They may be used for leisure cruises, commercial purposes or even racing competitions. Do you want to feel like an old-time coxswain? Or do you want to get into a good challenge in memory of your old man? 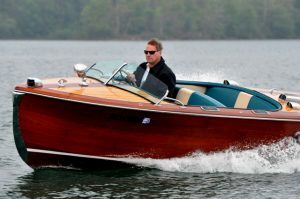 Whatever your desire, you can fulfil it in a classic boat. The best way to hunt for a good boat deal, is to compare the offerings on different listings. This will help you to get a picture of the required budget, and also a view of the different models available. If you live in an area famed for boat people, a door-to-door hunt could also be an option for you. You will love the stories that enthusiasts have to tell!